It was a dark-but-not-stormy night when SurpriseEnema told me I should try a certain game because it seemed like something I would like. 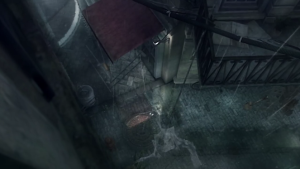 The game was Rain, a 3D adventure/stealth game for the PS3, made by SCE Japan Studio, back in 2013. Did I like it? Well… it wasn’t great, but it wasn’t a total raintwreck. If anything, it pooled finely into a pond in the wide crevice of “mediocre”. Allow me to explain. In Rain, a young boy who is too sick to go to the circus sees an invisible little girl, her form only showing up in the rain, being chased by an equally invisible creepy-finger-pointing thing, later referred to as the Unknown. Naturally, he follows them through a set of large, ornate doors in the middle of the Paris-esque city, becoming invisible as well. By now, the premise of the gameplay has been established: You’re only visible to monsters when you’re in the rain. This is actually pretty neat. A lot of things in this game are pretty neat. The problem is that they aren’t developed far beyond “neat”. I’ll get to that, though. So your goal is to find and aid the little girl while avoiding death, because you’re just a little kid. Aside from the Unknown, who follows you in scripted chase sequences (some of which are those classic front-view ones, which work really well to elevate the player’s anxiety), there are other invisible monsters out to get you. The most common enemy is a prowling quadripedal beast. You will encounter a lot of them throughout the game. Generally, they’ll chase you and you’ll have to seek shelter in a dry spot or a locker or something, or they’ll pace back and forth and you’ll have to move between dry spots when they’re not looking. There is a nice amount of diversity, I’ll say that. For instance, there are times when the beasts are prowling in dry spots, and you’ll have to watch their footsteps to avoid bumping into them, or there are times when one is chasing you and you’ll have to lead it into a trap to kill it and open a new path. These chase sequences are pretty well-crafted. Other beasts include large behemoths that like to ram things, which appear in a few specific sequences, or groups of little mite things that will attach to you and kill you – generally, you have to strategize and get them to kill the common enemies instead. There are also large, docile things that block the rain and act as moving safe zones. 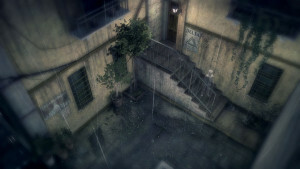 Rain is very puzzle-oriented, in a way that doesn’t often repeat itself. That’s one of the good things about it. However, some things just seem terribly underdeveloped. The “moving safe zone” monsters only appeared with much relevance in one area that I can remember, and they never became very complicated – it was quite easy to pass in one go. Enemies appearing in dry spaces never became any more complicated than just standing around and watching their footsteps. And the mud. Oh, the mud. It didn’t. It didn’t become relevant. I found that every single time I stepped into a mud puddle, I was sure to find a water puddle to cleanse my character before I ever entered any danger. It wasn’t even a matter of “finding” the water puddles, either – these things were unavoidably placed in my path, so that there was never any danger caused by the mud. I kept waiting for mud-based puzzles, but they never came. Every time I stepped in mud, and walked along the path for a while, I was anticipating something… but then I’d inevitably step into a water puddle before anything could come of it. Each successively disappointing experience with mud only left me more and more frustrated. I felt seriously teased. I almost wonder if they had some cool puzzles relating to this gimmick in the game at some point in time, but then some dumb higher-up saw it and thought it was too hard or something. I don’t know. I’m trying to rationalize why such a perfectly good trap was introduced time and time again and never actually used for absolutely anything other than making me a little nervous. It’s the most glaring problem in the game. It’s literally like a stain on the title. A mud stain. Shite. It’s going to be hard to get back on track after that. Give me a moment. Meanwhile, let’s take in the visuals, which really are one of the game’s stronger points. …Okay. So, Rain takes place in a large French city. As such, there are many winding streets and alleys. Often, you’ll reach the end of a street and find a branching path. Only one of these paths is the “right” one. Every other path only leads to a dead end. There are no secrets or bonuses to find in this game, at least none of which I am aware. But you know what? I’m actually kind of fine with that, even though I probably wasted a lot of time exploring the dead ends. Lots of games are linear, and this game feels like it would work well as a linear game. Linearity is just fine. It’s the hand holding that bothers me. Far too often, I found myself railroaded into the solution for a puzzle. The narrator would chime in, uninvited, practically telling me to grab this clown doll (it… it makes sense in context) or turn on this music box instead of just presenting me with a situation and letting me figure it out myself. And this is all without the hint system, too. Yes, there is a hint system, and I never used it once, so I don’t know how it works, but I imagine that it’s probably just the narrator saying, “Seriously, I just told you what to do; do I really need to repeat myself?” Sure, there are a few times when the solution isn’t given away, but by then, you’ve probably already been guided through a similar puzzle or puzzles which make up the current one. For anything else, you can generally just walk around the path until you figure out where you need to go. 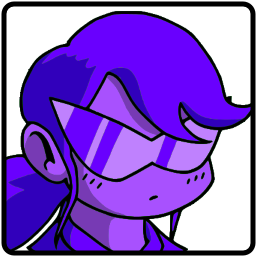 In fact, there are many segments in which you’re with the little girl, and she’ll even walk up to the next thing with which you need to interact. This screenshot pretty well encapsulates the restricted feeling of the game. The reason, from what I gather, for all of these problems is that Rain is way too focused on trying to tell a story. Games that tell stories are great. Games that tell really deep, complex, significant stories are really great. So don’t get me wrong. However, this game isn’t really telling a story that needs to be so meticulously guided on rails. We don’t get much plot development from the narrator saying that the boy spots a clown doll and thinks he can use it to distract the monsters (see? I told you it made sense). And yet, it feels like the developers designed this game more ilke a movie than a game, insofar as they wanted every player to have the exact same experience. “Do this, do that, do these things, all in this specific order. Here’s how you’re supposed to play this part”. That’s just it – it feels more like a movie than a game at times, and those times occur far too often for my personal tastes. I don’t know if they actually were trying to force everybody to have the same experience, but that’s how it felt when I was playing. You can tell your story, and those of us who would listen will listen, and those who wouldn’t won’t, regardless of whether you lead them. But let the players breathe and experience it organically. As for the story itself, it worked for what it was. If there was some deeper meaning other than two sick children struggling to survive, then it went over my head. My only real issue was with the ending. There was a metaphorical “tug of war” that seemed like it dragged on unnecessarily, kind of like a kid telling a story akin to “And then they won! But then it seemed like they were going to lose! But then they were victorious! But then the danger came back again! But then… But then…” and so on and so forth. Ultimately, by the end of the game, that long, drawn-out segment felt almost entirely irrelevant to the outcome. If I could have taken screenshots, this may have been more relevant to the previous paragraph. The game guides the player far too much, feeling claustrophobic at times. Many game mechanics are underdeveloped (ex. moving safe zones) or are just never even used (ex. mud). The story feels a little bit trite toward the end. 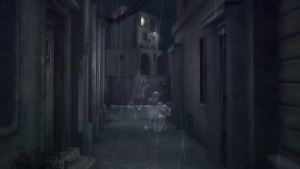 Really interesting basis for the game itself – stealth involving invisibility and rain. A variety of puzzles and monsters prove that the developers really were trying to keep the game interesting the whole way through. The aesthetics are fantastic. The city (and the truly awesome last levels) looks realistic and visually pleasing, the monsters are all intimidating and bizarre, and the sound completes the atmosphere quite nicely. This is probably all I’ve got to say on the matter of Rain, at least for now. Take it or leave it. If any developers out there are interested (SCE Japan Studio included), I’d love to experience another game like this if it was much more developed. 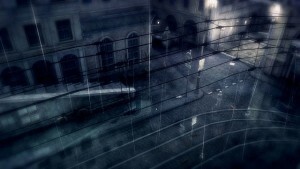 You can pick up Rain for $14.99 on the PlayStation 3 network. Images courtesy of Sony Computer Entertainment America LLC. I’m not sure why, but I wasn’t able to take my own screenshots while playing the game.